Scroll down for the #elachat conversation report for October 26th, 2018 EST. When it comes to participants, we ranked 60th among 481 conversations. In terms of the number of posts, we ranked 59th out of 481 conversations that took place. This conversation ranked 45th out of 481 in terms of the amplification of ideas & content. There were 25 reshares, 60% of posts, during the course of the conversation. 31% of participants in this conversation shared a total of 3 unique pieces of content. Here are the basic facts of the conversation for for October 26th, 2018. Nonprofit developer of #OER curriculum authored by renowned experts. Fostering equity in K–12 by offering the very best curricula, for free. The English language is tricky & everyone makes grammar mistakes every now and then. This collection of grammar mistakes on signs in the U.S. is hilarious. 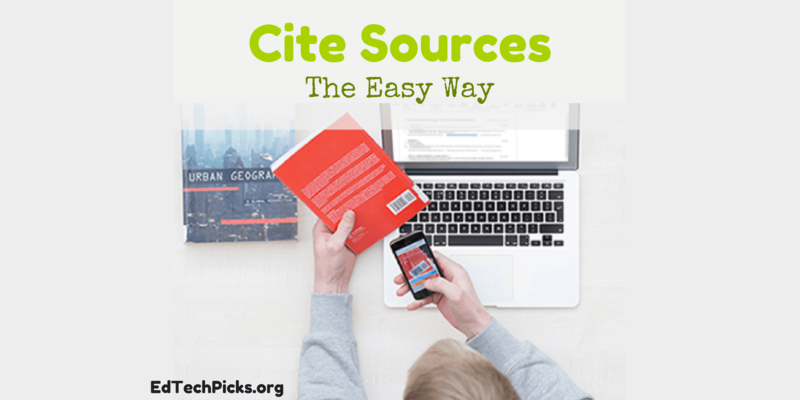 Cite sources with the click of a mouse or by scanning a barcode. Thousands of styles - MLA, APA, AMA. Cite anything - online images, videos, podcasts & more.